Our gourmet cookies are what made us famous. We proudly offer about 20 delicious varieties. Of course they are all hand-made and freshly baked using only the finest ingredients. Try them dipped in dark or white chocolate — wonderfully decadent! All time favorite like Mom used to make, available with or without walnuts. 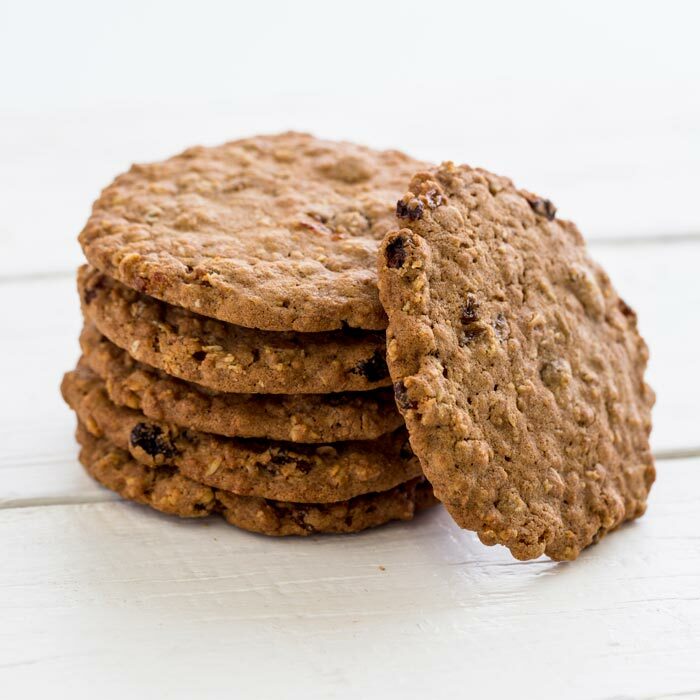 Our oatmeal cookie is a classic with golden raisins and a hint of spice. Peanut butter never tasted so good and even more amazing dipped! Old-fashioned sugar cookie sprinkled with cinnamon and sugar. Crispy old-fashioned gingersnap sprinkled with sugar. Rich and buttery, an old English favorite. Try it dipped! An Italian Classic, ours is rich and nutty and dipped in chocolate. 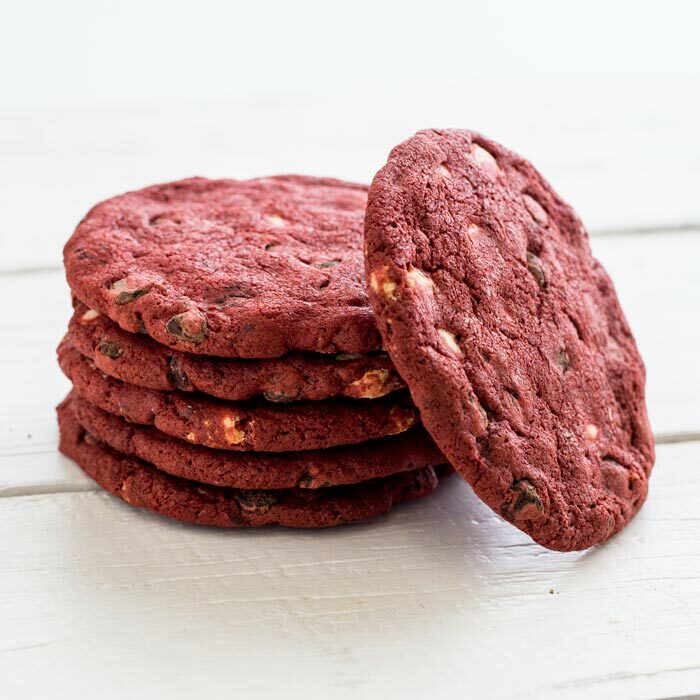 A Red Velvet Chocolate Chip cookie with a touch of cocoa, semi-sweet and white chocolate chips. A beautiful cookie. Chocolate Chip cookie with M&M's! Our most spectacular cookie, a moist, rich hand piped stack of coconut. Rich and decadent with white chocolate chips and macadamia nuts. A buttery mound full of nuts and rolled in powdered sugar. A sumptuous, healthy whole grain mini cake packed with oats, sunflower seeds, sesame seeds, walnuts, honey and cranberries with a hint of coconut. A perfect blend of healthy and delicious. Mini-cake full of oats, nuts, and crystallized ginger. “Dairy Free” Chock full of raisins, walnuts, spices and goodness! Our terrific shortbread cookie, filled with a generous dab of raspberry jam. Our delicious Macaroon without the Gluten! Moist and satisfying. Cinnamon, ginger, allspice combine to make an incredibly aromatic spice cookie. Always a favorite our gluten-free peanut butter cookies are crispy and chewy and full of flavor. Traditional, crunchy Biscotti with whole almonds and lemon zest. A dash of espresso, cinnamon and walnuts.